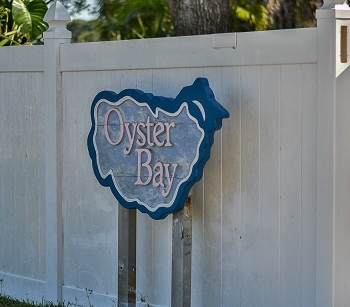 Oyster Bay is a spectacular small neighborhood in Palm Harbor, Florida with only 9 homes, located off of Alternate 19 with just one street call Prior Place. This great waterfront community features fine executive homes with 3 to 5 bedrooms and 2500 to almost 4000 square feet of living space. They have beautiful views of the Bay and easy access to the Gulf of Mexico for boating. The community offers a boat dock and playground too! These homes feature many nice upgrades such as fireplaces, custom tile, hardwood flooring, whirlpool tubs, workshops, skylights, and private pools and spas. They are perfect for entertaining, with huge kitchens and formal dining rooms. They also offer lots of outdoor entertaining space by the pool or waterside balconies. Yards here are beautifully landscaped with lush tropical plants. Great schools are just a few minutes away, and a neighborhood park is just across the street. This is one of the most desirable, yet small, communities in Palm Harbor and there are no HOA fees! Let us know if this is what you are looking for and we can set up an email alert for you that will notify you when a home of this type comes on the market. Selling your Home in Oyster Bay? Are you selling your home in Oyster Bay? We would love to work with you. Call one of our Agents at Lipply Real Estate to find out more about our strategic Marketing Plan and how we can help you in making the most out of a possible sale. Contact an agent directly at 727-314-1000 or enter your information into the form below! We hope to hear from you soon!